There are two notable sides of the fence that people seem to sit on when it comes to this contentious topic. On the one side sit the ‘bubble blowers’ who use statistical data to demonstrate that collectively, we have the highest level of mortgage related debt per household of all developed countries in the world. They argue that local property prices are over-inflated and set to come tumbling down and this could be by as much as 50 per cent. In 2015 it was the US Global Economics forecaster Harry Dent and in 2016 it was Jonathan Tepper’s turn. His ‘claim to fame’ was to correctly predict the housing bubbles in US, Ireland & Spain. On the other side of the debate are those who believe an Australian property bubble in 2016 is just a good story to sell papers or gets clicks on the internet, but that there are no signs of a significant housing market correction on the horizon. They accept the property markets are slowing down; but they anticipate a nice easy transition into a naturally quieter phase of the property cycle. Period. So who is right and who is wrong? And is it all as black and white as two simple sides of a debate? 18. OVERSEAS BUBBLES – HARBINGERS OF DOOM FOR AUSTRALIAN HOUSING? HOW LONG BETWEEN ONE PROPERTY CYCLE AND THE NEXT? IS AUSTRALIA EXPERIENCING A PROPERTY BUBBLE? I’ve already given some perspective on the property bubble here, but today in a commentary that’s a little longer than usual, I want to piece together the various fragmented arguments around Australia’s property bubble puzzle and give you my thoughts on each of them. Hopefully by exploring the ‘big picture’ fundamentals, I’ll shed some light on what’s happening in the market today and what we might be able to expect tomorrow. And I’d like to show you that to be a smart property investor it’s critical to keep your eye on the big picture fundamentals rather than constantly getting caught up in talk of property bubbles. Losing that focus is likely to undermine your journey and steer you off track, causing you to lose sight of your long term objectives. I want to help you keep your focus. I’m going to use my forty odd years of market experience and investing (some would suggest rather successfully) through 4 complete property cycles, to cut through all the noise and explore 18 aspects of the property bubble in context, explaining why smart property investors shouldn’t lose sleep over all the speculative market reporting. A housing bubble doesn’t just mean high prices — prices can just be high in response to basic supply and demand. A housing bubble is defined by rapid rise in property prices, where house prices are a long way away from what is fundamentally considered justified and generally occur when highly leveraged speculators enter a market for short-term growth. And it is usually also associated with strong credit growth. The problem is that property bubbles are often hard to detect in real time because there are so many different Australian property markets and there is so much disagreement over the concept of affordability and the fundamental value of properties. The fact is, most market movements are influenced by those who keep the markets moving – humans and our psychological responses to perceived highs and lows. This reality, combined with today’s 24/7 information superhighway, means markets are being influenced in different ways and with more frequency. Real estate bubbles are caused by a rapid escalation in house prices, fueled by a level of buyer demand that outweighs supply. Something generally happens to spike buyer demand, as in the recent case of low interest rates making property relatively cheap to leverage into. This upward movement entices “speculators” into the market, further fanning the capital growth flames with increased investment activity. 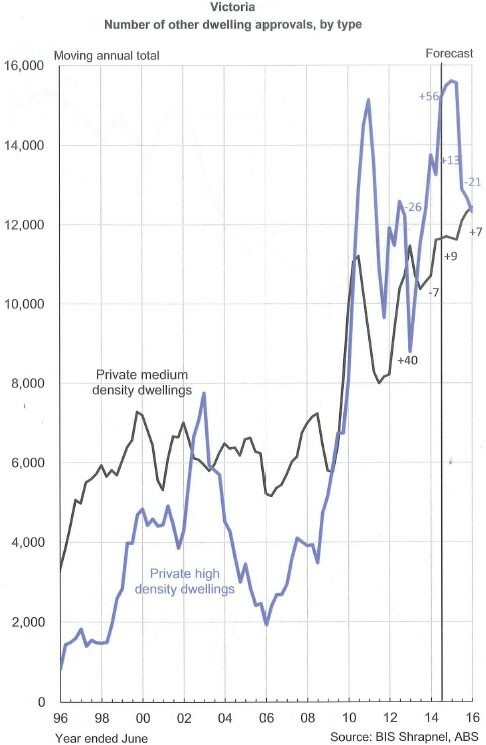 Then eventually some other influence comes along to quell demand, (often rising interest rates) even though the supply pipeline is still pumping out newly built dwellings. This causes prices to slump and it is said that it could lead the Real estate bubble to burst. The problem I have with all the recent ‘housing bubble’ propaganda is that it’s largely one-dimensional, failing to account for the many underlying fundamentals that influence our unique property sector. 2. 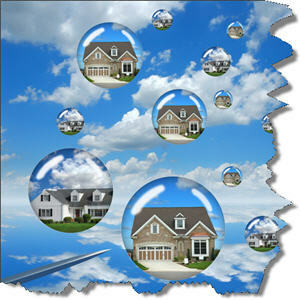 Is the ‘property market’ in bubble trouble? Overseas commentators are often guilty of talking about the impending implosion of Australia’s ‘property market’. Singular. They speak as though the many markets within markets across our vast continent can be wrapped up in a neat little package. Clearly this is not the case. 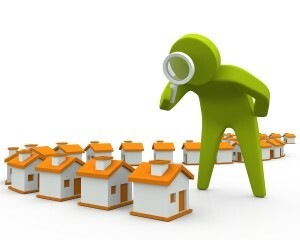 We have many different property markets around Australia – some defined by geography and others by price points – and while they may all be influenced by a number of common factors such as interest rates or government policies, they all have their own unique factors driving their particular market including local supply and demand, local economic factors, local job growth or lack of it and local council planning authorities with their own policies and agendas. Not to mention divergent communities with all sorts of infrastructure, industry and amenity variations. So it is wrong to generalise about one property market. Any time I see a headline proclaiming, ‘Housing market crash’, I wonder which, of the hundreds of Australia’s micro-housing markets they’re referring to. It seems a lot can happen in real estate in the 12 months since I wrote the fist version of this report, and the fears of an Australian “property bubble” bursting never came to pass, just as I predicted it wouldn’t last year. Instead over the past year we’ve seen an orderly slowdown in the heady Sydney property market, as well as strengthening markets in other capital cities such as Melbourne and to a lesser extent in Brisbane and Hobart. Despite the underlying strong fundamentals for the Sydney property market tighter lending criteria from the banks (who were forced to slow down lending to investors by APRA) together with media hype of high prices moved the Sydney market from 5th gear into 2nd gear. The Sydney house prices recorded extraordinary price growth from 2013 to 2015, after moving up steadily since 2008, however by the end of last year that growth started to slow. We also need to remember that the Sydney property market was mainly flat from 2003 – 2008 a decade before that recent short burst of strong growth. Media reports say that Sydney houses now cost 12 times the annual income, up from four times about 40 years ago. But thanks to record low interest rates, it still costs less today to service a mortgage out of the typical income than it did in 1989 when interest rates hit an eye-wateringly high of 17 per cent. Respected economist Saul Eslake does not expect a property price crash, but says that forces are shifting that will dampen demand and increase supply, and that slower population growth will limit new demand. There are also a number of current, and proposed, policies that are taking some of the heat out of the market, particularly for investors. In late 2014, the Australian Prudential and Regulatory Authority (APRA) believed that Australian banks were over-leveraging their residential loan portfolios, especially in the light of tighter world standards. So the banks were told that they must not increase their investor lending by more than 6% (in some cases it was 10%) a year and were also required to raise a large amount of capital by issuing shares. This has resulted in banks tightening their lending criteria including requiring larger deposits and stricter interest servicing criteria. At the same time foreign property investment in Australian property has slowed a little in response to the slowdown in the Chinese economy, the higher Australian dollar and China restricting the outflow of funds from that country. However, outside the big capital cities the story is different. Unfortunately we’ve heard horror stories of investors who’d over-committed financially or bought in risky one-industry locations such as mining regions going bankrupt. Boy have things changed from when I first started investing. I would have loved to have access to the variety of daily, weekly, monthly and quarterly market statistics that are available today. The problem is much of the commentary I see relies heavily on short-term data and is often written by people who don’t have the perspective that having invested, both successfully and unsuccessfully, through a series of property cycles, gives those experienced commentators who in general are not worried about a property bubble. In other words, this short term reporting is far from reliable when it comes to gaining a clear perspective of enduring market fundamentals that sophisticated property investors pay attention to. Unlike shares in a faceless corporate entity, real estate represents an emotional investment as well as a financial one. Of course that’s one of the reasons why talking about property bubbles causes such heated debate, but it’s also why we need to explore the many facets that fuel this investment vehicle, to better understand what’s happening at any given time. What I’m getting at is that for most property owners real estate is not an investment vehicle – it’s their home, their castle. This makes real estate a unique investment vehicle because it’s the only investment market dominated by non-investors and underpins the stability of Australian property prices. When the economy falters those 70% of Australians who own their own home don’t suddenly sell up causing property prices to plummet, they hold on biding their time till the cycle moves on. And as half of these home owners no longer have a mortgage, when interest rates rise they don’t panic. In fact experience through the recession we had to have in the early 90’s showed that despite double digit unemployment and rising interest rates Aussies did all they could to hold on to their homes. They would rather eat dog food that sell up, and as a result house prices stumbled and fell a little – but they did not crash. Clearly this is very different to what happens in the stock market or in some overseas property markets where you can hand keys back to the bank and walk away from your loan obligations. Large volumes of ‘real time’ market data means investors are drip-fed constant ‘evidence’ about house price movements, buyer activity, vacancy rates, rental yields and so forth. This causes a kind of ‘death by statistics’, where investors are assaulted and subsequently distracted off course by a lot of confusing and sometimes conflicting ‘noise’ from the many markets within markets. Investors must remember the big picture rather than getting caught up in the detail…where the devil is. A good example is the current commentary around the alleged “overheated” Sydney property market. 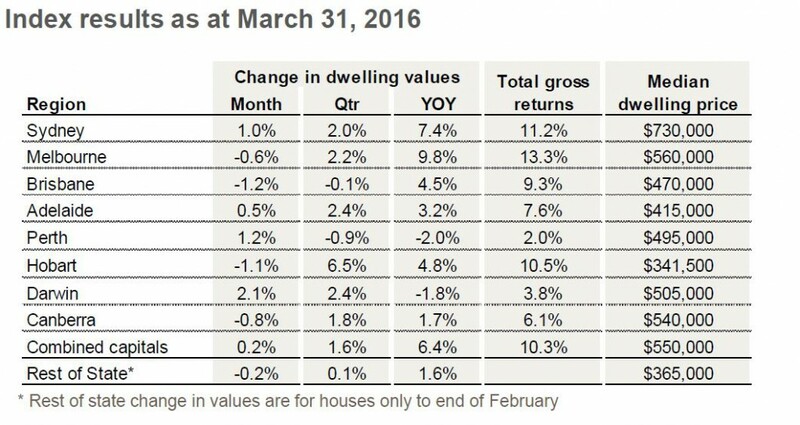 Sure Sydney prices were rising fast over the last few years – but they’ve only risen by 7.4% in the 12 months to April 2016 according to CoreLogic RP Data’s Home Value Index, and as you can see from the graphic below, that market is really only playing catch up with overall price growth 5.9% per annum over the last 10 years – hardly bubble material. The problem is that any time dwelling prices show significant upward growth a run of alarmist reporting follows. The same has happened across Melbourne, Brisbane and Perth at various times in the recent past. While the level of activity we were seeing in parts of inner Sydney property market wasn’t sustainable over the long term, does it really reflect an emerging Sydney housing bubble or just ‘normal’ market movements? I’ve already shown that over the longer term Sydney property price growth is not in bubble territory and taking monthly, quarterly or even annual data sets out of context in such a way creates a ‘tale of two cities’ paradox. While some “bubblers” are suggesting our property markets are a ‘runaway train’ that’s set to crash at any moment, the graph below shows price growth for the 10 years to January 2016, with Melbourne being the only market to double in value. In fact, once adjusted for inflation, Sydney and Melbourne property markets are the only capital city markets where dwelling values have risen faster than inflation since the last market peak. So let’s clarify: is housing really unaffordable in Australia? Well…according to the International Monetary Fund (IMF) it is and Australia’s property prices are grossly over-inflated, with radical policy making required in order to slow the nation’s emerging housing bubble. 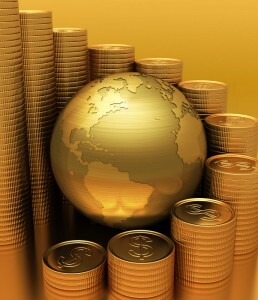 This includes tighter regulations around foreign investment and property related lending practices. However measuring housing affordability is such an abstract idea because it is not a one size fits all measure and there are so many factors which contribute to affordability or unaffordability. But what interest rate do you use when a typical mortgage is paid off over 25 to 30 years? What figure do you use for household income? Much like interest rates household incomes will fluctuate over the 25 to 30 year cycle of a mortgage. And income levels are very different across different regions of the country as is the money that flows to single vs dual income households. Is a home in Australia the same as a home anywhere else in the world? In the sense that it provides shelter it is, however, tax regimes, the cost and scarcity of developable land, the provision of infrastructure and the availability of jobs are all other factors that contribute to the cost of housing. Furthermore, most comparisons are not apples with apples. Australian housing markets are dominated by detached houses whereas markets like Tokyo, Singapore, Hong Kong and Manhattan are largely apartment markets while London for example is predominately attached housing types (what we would call terraces or townhouses). The fact that Australian homes are, at least for the large part, detached and the largest in the world will also contribute to a higher cost. Most overseas analysis of our market situation is misleading due to its focus on two typical measures of affordability, being the ratio of house prices to household incomes and house prices to rents. But I would argue that what they don’t use preferred measure of housing affordability in Australia, which is the proportion of disposable income spent on housing costs. At a little over 20 per cent, our level of new housing loan repayments as a percentage of household disposable income remains at a 30 year average and is falling due to our stable, low interest rate environment. House prices are expensive but Bank of America Merrill Lynch’s Dr. Alex Joiner has demonstrated that if you take the median house price in 1985 and adjust it only by disposable household income growth between 1985 and 2016 and the change in borrowing capacity over this period – via lower mortgage rates – you find that the 1985-adjusted value is 1 per cent above current median prices. So the change in incomes and interest rates since 1985 imply that Aussie housing is fairly valued (actually slightly cheap). This analysis is crucially predicated on interest rates staying at or below their present marks and if interest rates rise, then housing could be considered expensive; but the bond market currently implies that over the next 10 years the cash rate will only climb by about half a percentage point. Real estate plays a significant role in our collective cultural psyche. Buying your own home is an aspirational Aussie dream, representing a rite of passage that affirms our financial success and gives us a new social status. According to a 2011 report, The Evolution of Home Ownership Rates in Selected OECD Countries: Demographic and Public Policy Influences, home ownership has various spillover effects for society as a whole. Linked to things like better educational outcomes for children and a more ‘active and informed citizenry’, many modern governments vigorously promote home ownership because of the potential social and economic benefits. In recent times the property sector has almost singlehandedly kept our economy moving, breathing new life into retail, infrastructure and employment due to the many industries that survive off the back of bricks and mortar. These periods are synonymous with increased public policy encouraging home ownership – think the FHOG boost during the 2008 GFC for instance. In the 1990s, 71.4 per cent of Australians owned or were purchasing their own home, a rate second only to Spain and Luxembourg at 77.8 per cent and 71.6 per cent respectively. Interestingly, Australia’s rate of home ownership as recorded by the ABS dropped slightly to 69.5 per cent in 2004, with a further fall to 67 per cent in 2011. While some suggest this declining rate of home ownership is largely due to an inability for first homebuyers to break into our over priced property market, others like industry heavyweight John McGrath, note a clear cultural shift occurring across younger generations. First home buyers aren’t actually absent from the market, they’re just buying an investment property before they buy a home to live in. Cultural shifts occur as generational influences come and go. During the 1970s and 80’s, Baby Boomers were busy building family homes that showed a distinct preference for detached dwellings on large suburban blocks. This led to a massive construction boom that saw our once fairly contained major cities start to expand outward in a rampant period of unprecedented urban sprawl. Enter the Baby Boomer offspring; the often tertiary educated Gen X and Y children of the seventies, eighties and nineties, who collectively put marriage on hold in favour of high-powered careers and embraced an emerging café culture. This changing of the generational guards brought with it an interesting transformation in our housing markets. Where once it was all about size, home ownership has become more about convenience and lifestyle, as location takes precedence over square footage. Many younger homebuyers are trading backyards for balconies, buying apartments and compromising on space in order to break into popular postcodes within a two to ten kilometre radius of major CBD markets across Sydney, Melbourne and Brisbane. This trend has been confirmed by ABS data, indicating that building approvals for higher-density homes, such as apartments and town houses, surged by 36 per cent over the past year, while approvals for ‘traditional’ houses fell by 1 per cent. Tellingly, these figures reveal there were nearly as many building approvals for higher-density homes (9,102) as houses (9,441). Major demographic shifts, such as shrinking household sizes, are driving the rising demand for higher-density accommodation. In 1911, the average number of people living in a private dwelling was 4.5, with this figure falling to 3.5 by 1966 and now sitting at around 2.7 people per household. According to RP Data, 19 of the 20 most densely populated suburbs in Australia are located within the Greater Sydney area, with the one exception being Melbourne’s Southbank precinct. And it’s not just owner-occupiers who want a slice of the inner city property pie, but tenants forced to forego the Great Australian Dream in order to be closer to the action and employment, due to pricier entry points. This booming buyer and tenant demand is exerting upward pressure in select locations where accommodation supply is tightly constrained, due to restricted development and residential growth opportunities. It’s expected this downsizing trend will continue, with increasing evidence of formative shifts in the way we work, play and live, along with an escalation in higher density urban design and planning to utilise existing infrastructure. “As transit oriented developments continue to gather pace I am quite certain we will see higher population densities spreading to key transport nodes located further away from the city centres,” says Lawless. One ‘housing bubble’ hypothesis is that a growing tide of ageing baby boomers will cause a wave of downsizers to sell their family home and cash in their share portfolios all at once. Some overseas economists have suggested the resultant accommodation oversupply will cause a significant market corrections and an ‘asset meltdown’. Second, says Guest, is older people choosing to downsize and releasing equity by selling the family home to help fund retirement. However, he adds that the latter effect has become weaker, given our ability to leverage equity without selling any assets through facilities like redraw loans and reverse mortgages. But remember our population is likely to almost double in the next 40-50 years, with many immigrants keen to buy the Baby Boomers’ McMansions to live in while developers will be keen to buy them to redevelop these older homes into apartments and townhouses. Property analyst Michael Matusik says although we’re not experiencing a national property bubble, an influx of ‘grey’ money from China is distorting the Sydney and Melbourne property markets. “All of this illicit activity is creating a demand that would not otherwise exist,” says Matusik. Others argue that foreign investment, whether in domestic real estate, manufacturing or mining, increases national wealth and if an overseas buyer is willing to pay a local owner more for their asset than an Australian resident, why shouldn’t they take the best offer going? Developer capital is forcing up city land values as Asian investment groups are buying up development sites to build high rise towers to on sell to Asian investors. There have been several instances of Asian developers paying prices comfortably in excess of what is perceived locally to be “fair market value”, in certain cases 25 to 40 per cent above what domestic developers might previously have been prepared to pay. While there is no direct correlation between the impressively rebounding tourism sector and our real estate markets, record Chinese visitor numbers and tourism expenditure is inextricably linked to other longer term demographic trends, including the increasing popularity of Australia as a destination for Chinese capital. Clearly it’s difficult to get a handle on how much activity in Australia’s property sector is directly related to foreign investment activity and the FIRB has come under fire regarding its apparent inability to stay on top of who is buying what. Then there are concerns about the lack of regulation around China’s banking sector, meaning buyers may not be able to maintain their offshore asset base in Australia. Economists suggest China has a prominent informal financial system because its formal banking sector functions so poorly and without an informal financial system, China’s growth would have been much slower than it has been and Australia would be worse off as a result. Similarly, the flow of Chinese capital to Australia would have been reduced and so too would the related benefits, including less housing supply and fewer construction jobs. These commentators suggest that the scapegoating of Chinese investors over high Aussie house prices can be refuted with hard evidence. Australia is on the crest of an undeniable demographic tsunami, as 5.3 million Baby Boomers hit retirement age over the next fifteen years. Scaremongers suggest this mass workforce exodus will send us hurtling toward a similar fate suffered by Japan, where retirees dramatically outweighed working citizens and in turn, toppled the economic balance. There’s no doubt extra pressure will be exerted on certain services as our population ages, particularly public ones like healthcare, which we know rely on taxpayer funding. And of course less people will be actively working and contributing taxes. So we should anticipate some type of economic fallout from this significant generational transition. But is it reasonable to expect all retirees to stop spending money and sell off any property they own, just because they decide to cease paid employment? Numerous alarmists seem to think so, predicting a subsequent bursting of the housing bubble. 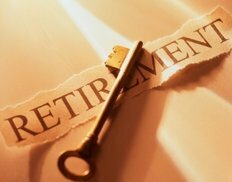 The reality is, while many retirees want to downsize, most won’t be able to afford to do so and have money left over as they’ll end up spending an amount similar to the value of their home on an apartment or townhouse that might be smaller but a little flashier, in or around the neighbourhood they raised their family in. 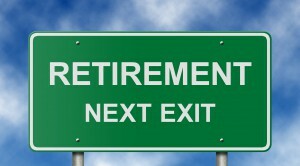 Further, the government is aware of the dilemma it faces as close to half of the present day workforce (43%) decides to call it quits but won’t have sufficient savings or super to rely on in retirement. But they have a solution, and it’s more people. Both sides of politics have geared their policies to reflect the need to keep our population growing, looking at ways to increase the tax-paying workforce by importing younger workers. It’s hoped well trained Gen-Xers and Y’s will migrate to Australia, filling our skilled labour void, earning high incomes and of course, contributing their fair share of tax. This will result in extra demand all of these new citizens will place on our already scarce inner urban housing stock, as they seek accommodation to rent and purchase. These are the people who’ll keep the money moving. Eighty seven per cent of Aussies live in and around our major urban centres. Logically, growing city-centric employment opportunities, combined with more skilled migrant workers moving into these areas, will only increase competition for already tightly held inner city property markets. If anything, it could be said that in attempting to address the Baby Boomer conundrum by upping migrant numbers, we’ll only see more housing demand in the future and therefore, a continued underpinning of property prices for years to come. We might be blamed for a lot of things when it comes to Australia’s economic fortunes of the day, but no, I don’t think you can pin the alleged property bubble on the Baby Boomers! 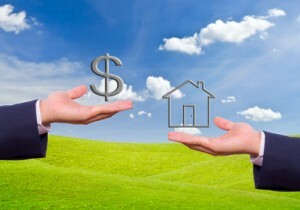 The ability to buy and borrow against residential real estate through self-managed super funds has opened up a whole new market for Australian property over the last few years. In other words, the RBA was worried that the trend to purchase real estate assets within an SMSF structure, could significantly inflate property prices. But then in 2015 and 2016 APRA stepped in and lending to SMSF’s to buy investment property slowed down considerably removing one of the fans that fired the property market. Interestingly according to the SMSF Professionals Association of Australia (SPAA), residential property is a minor element of the total SMSF investment market compared to commercial holdings, representing 3.4% and 11.7% of investments respectively. Additionally, only 1% of all SMSF property investments were geared, meaning these are relatively secure assets, with limited risk weight allocation. 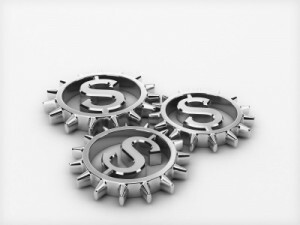 While the increased promotion of leveraged property purchases within SMSFs was a growing trend, officials are certainly taking a tougher stance and demanding greater transparency around management of these entities. Do I think we should be worried about mum and dad investors all rushing out and gearing at high-risk levels to secure SMSF property investments? The short answer is no; but I’m concerned about poor property choices some SMSF trustees are making. Thirty years ago, investment related borrowings accounted for just 13% of total housing finance, compared to a whopping 40% or $139 billion of domestic investor finance over the past 12 months. As is evident from the graphic below from Pete Wargent, more Australians are turning to bricks and mortar to build their retirement portfolios, with a notable spike post-GFC reflecting a growing disenchantment with comparatively volatile investment vehicles like shares. This continuing deluge of property investors keen to snap up residential real estate, particularly in the lucrative Sydney and Melbourne housing sector, is becoming a major market stimulus in its own right. But what impact will sustained investor activity at such unprecedented levels have on the housing market’s long-term stability? This is a question I can’t answer with any certainty right now, because we’ve never seen activity to this degree before. What we do know is the prolonged spike in investor related borrowings that kicked off with vigour in 2008 and then again in 2012 is worrying the RBA, causing them to issue warnings about capping investor loan growth and advising lenders that extra capital charges will be imposed on banks breaching a 10 per cent growth limit in this area. Alarmingly, the RBA is concerned that lenders enjoying the fruits of our booming Sydney property market will ignore regulator threats, choosing to pay extra capital charges as they continue to sell more investment loans. Property expert Christopher Joye says that although the Reserve Bank is rightly worried, they’ve backed themselves into a corner, basing February’s decision to cut rates further on the assumption that the housing market was starting to cool (probably off the back of end of 2014 market data). The concern around such unheard of levels of property investor activity is whether these portfolios are built to withstand an inevitable interest rate rise. If investors are too exposed, with unsustainable levels of gearing, what happens when the market turns? Critics suggest that when the RBA finally decides our economy is healthy enough to start upping the cash rate once more, struggling investors looking to claw back cashflow could create a sufficient stock saturation to pop our alleged ‘property bubble’. While there’s no doubt that a number of newbie investors out there are perhaps too highly leveraged in the wrong type of asset and at risk when rates rise, the majority of property investments are relatively sheltered by our continuing buoyant rental market. Further, many seasoned property investors are using the current low rate environment as an opportunity to solidify their asset base and reduce non-tax deductible debt, thereby strengthening their financial position in anticipation of any such changes to the current status quo. Dr. Andrew Wilson, chief economist for Domain, provides the following graphic for the Sydney property market which was obviously the market concerning some as at the end of 2015 around 50% of purchases there were being made by property investors. However even in Sydney the percentage of the population that are at risk of defaulting on their interest rates rise is minimal (4.3%). 32.6% of Sydney’s population are tenants and they won’t be affected when interest rates rise. 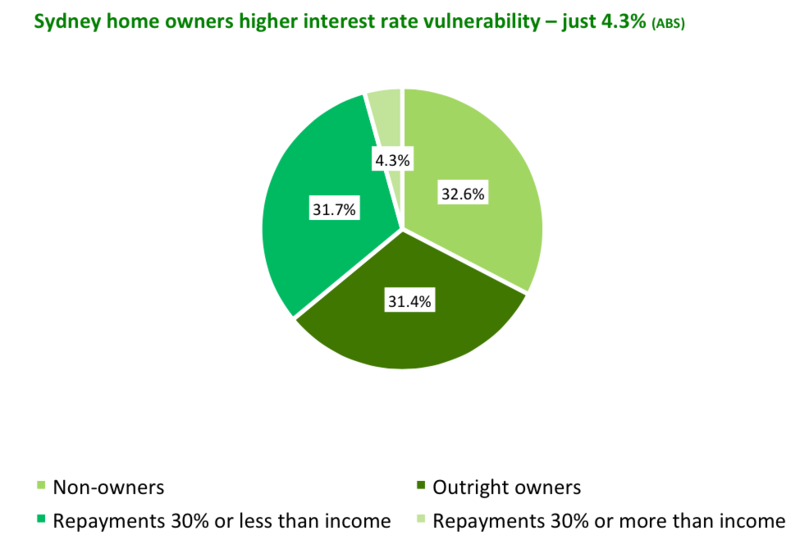 31.4% of Sydney’s population own their homes outright and are not vulnerable to rising interest rates. 31.7% of Sydney’s population owns a home, but their mortgage repayments are less than 30% of the incomes meaning these families are unlikely to experience mortgage stress if interest rates rise. Only 4.3% of Sydney’s population has mortgage repayments that cost them more than 30% of their income and this group will be vulnerable if interest rates rise significantly. Another much maligned target of housing bubble enthusiasts is this contentious area of the Australian tax system that supports investment. Critics estimate that negative gearing has pushed up property prices by 9%, causing many to call for an inquiry into the legal “tax loophole” that allows investors to claim back costs directly related to property assets. However I would argue that property investors provide an essential service to millions of Australians who chose to, or have to, rent their accommodation and as such these investors should be treated like all other business people. In our modern society we pay taxes and expect the government to provide us with certain essential services. These include hospitals, roads, schools, jails, public transport, aged care and public housing. In Australia the government often shares the burden of providing these services with private enterprises that can often deliver them more efficiently and cheaper. When the government can’t supply enough public hospital beds, private run hospitals step up to the mark and not only receive tax deductions for their business loans, but also allowances to subsidize them. So do aged care providers, schools and public transport providers who provide services in tandem with the government. Our government also provides public housing, but not enough for all those who can’t afford to buy their own property. 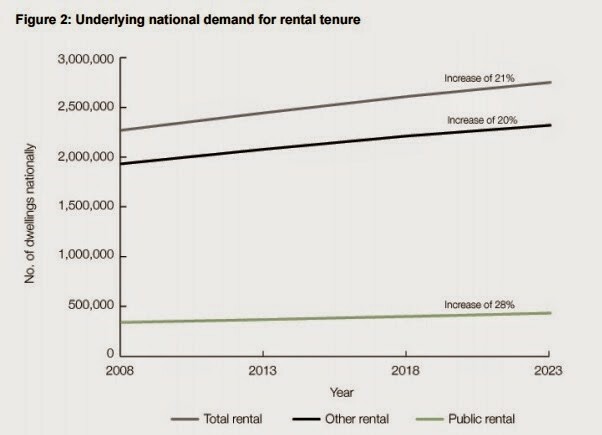 While government social and public housing programs are helpful, it is only the private rental market that can deliver rental accommodation at the rate and scale that is required at present. Property investors save a deposit, buy a property, commit to a loan for 25 or 30 years and provide accommodation for others in our community. 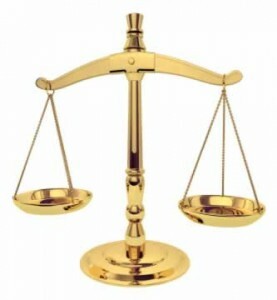 In return we expect to get a reasonable return on our investment risk, just like other business people do. We know that the rent won’t cover our expenses, but accept that certain tax benefits plus the long term capital growth will make up for this. Sometimes it does, and sometimes it doesn’t. Negative gearing is a necessary mechanism, in effect acting as a subsidy for people who are renting and encouraging the provision of rental stock for people who cannot afford to buy. Some estimate the current shortfall between social housing demand and supply is in the region of 200,000 dwellings per annum. So the government has a choice – come up with an additional $50 billion odd to construct these dwellings, or continue to absorb an estimated $4 billion in negative gearing revenue losses and maintain the status quo for private property investors. It’s clear when you drill down into much of the noise associated with Australia’s apparent ‘housing bubble’ that a key element of the argument is missing. The fact is, market cynics are largely ignoring the basic supply and demand equation that drives all consumer-based commodities – with property being no exception. Pete Wargent says Australia is projected to have 4.3 million more households in the 25 years to 2036, meaning the requirement for rental accommodation will be “beyond huge. This immense ongoing demand from our ever growing population will continue to underpin Australian property markets over the long term, particularly in those inner urban areas that hold enduring appeal due to well established infrastructure and proximity to employment opportunities. Some argue (and rightly so) that a looming accommodation oversupply is on the cards for certain CBD markets due to an apartment construction boom. But when you put the numbers into perspective, should we really be so alarmed about an impending price correction right across the board? BIS Shrapnel forecasts a surplus of multi-residential dwellings for Victoria in the vicinity of 14,300 by June 2016. But this is just one market, within a multitude of broader markets. Sure, it sounds like a large number in isolation, but when you consider that conservative estimates suggest our population will almost double in size over the next four decades to 39.7 million, this is a drop in the accommodation ocean. 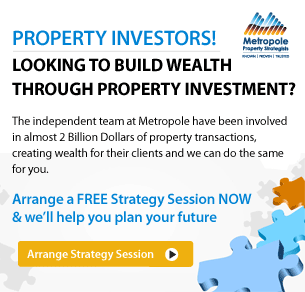 And remember, you’re not buying ‘a market’ – as a strategic investor you would be buying individual properties – and only the type of property that will have long term strong demand from affluent owner occupiers who can afford to and are prepared to pay a premium to live in that location. While price growth has grown across pockets of Australia’s housing markets, you certainly couldn’t claim that property values have escalated dramatically in real terms across the entire nation. At least not with sufficient gusto to justify the level of scaremongering we keep seeing in the media. In fact you could safely describe average prices as relatively ‘flat’ in inflation adjusted terms. As I’ve explained above, Sydney and Melbourne are the only capital cities where dwelling values have risen at a faster pace than inflation since the last property peak. Source: Dr. Andrew Wilson, Fairfax/Domain. In 2014 -15 the RBA increasingly came under fire for the role its lenient monetary policymaking has allegedly played in inflating the ‘property bubble’, with many pointing the finger at ‘cheap debt’ for fueling so-called speculative investment activity in the sector. He says while Australia’s central bank hasn’t been forced to cut rates back to zero, as has been the case in other developed economies, it must tread carefully when it comes to the delicate balancing act between encouraging consumption and investment spending (to stimulate jobs growth), versus the risk of a housing bubble. This is a lesson the Bank of Japan learned the hard way when, toward the end of the eighties, it failed to tighten monetary policy quick enough to address the Yen’s strong appreciation against the US dollar. Past episodes of significant market corrections in the likes of Japan and America, are often used as yardsticks by which to measure the size of Australia’s ‘housing bubble’. 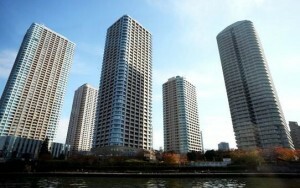 Japan’s economic bubble lasted from 1986 to 1991 and was characterized by a rapid acceleration of asset prices, including an over-inflated housing sector and uncontrolled credit expansion. Some compare Australia to Japan because of the increased levels of speculative investment activity that occurred there off the back of excessive monetary policy easing, similar to what we’re witnessing here with low interest rates making property assets more appealing. Then of course there are comparisons to the US, where poor money management and out of control lending practices left many mortgage holders unable to make their repayments, subsequently sending their housing sector into a spiral that resulted in a price crash and burn. Recently, the spotlight has turned to China. Our Asian neighbour has arguably become the world economic powerhouse; stealthily working to shift America’s global influence to its own shores through a stranglehold on manufacturing and export trade. As their local economy transitions from ‘developing’ to fully dominating the world stage at breakneck speed, the Chinese real estate market has boomed. Worryingly, the Wall Street Journal recently published a study that found 22.4% of houses in China’s urban areas were vacant as at 2013, up from 20.6% in 2011. Experts argue that as the Chinese stop constructing housing and relying on Australia’s natural iron ore reserves to the same extent as they have in the past, the flow on effect will create a major hole in our economy. On the other hand, with Chinese property losing its appeal as an asset base, it’s more likely that our neighbours will continue to spend their investment dollars in our housing markets. Of course comparing China’s significant supply imbalance to Australia, where we have the opposite problem of an accommodation shortage, is about as relevant as comparing apples and oranges. While it’s interesting to note what’s going on across our increasingly inter-connected globe, we must keep in mind that Australia is relatively unique in terms of its housing market fundamentals. 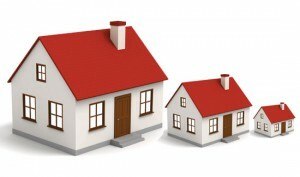 As John McGrath recently pointed out, “The property market has a strong foundation supporting it. We have low unemployment (despite recent job losses), a strong and resilient economy, low interest rates, a tax system that rewards property investment and a massive undersupply of housing in the face of rising population growth. This love of all things bricks and mortar essentially sheltered us from the 2008 GFC and when the going got tough, we turned to the thing we’ve come to know and rely on as an integral part of our cultural identity – housing. What I’ve tried to show you in this rather long report is that the Australian property markets are behaving in their normal fashion and we don’t need to fear a property bubble that’s about to burst. 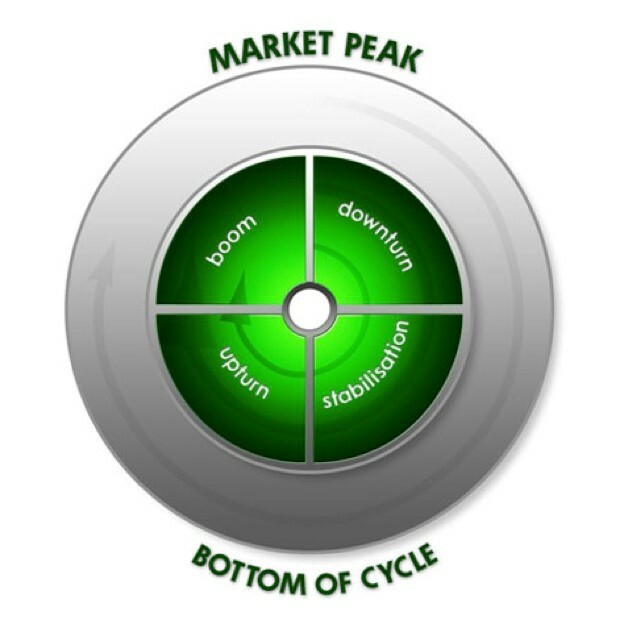 Of course we all know the property market moves in cycles which is typically depicted in 4 stages. The boom followed by the downturn, followed by the stabilisation phase which leads to an upturn which sets us up for the next property boom. And currently we’re at the mature stage of this property cycle and price growth will slow and prices will eventually fall in many location. Fall a little – not collapse! 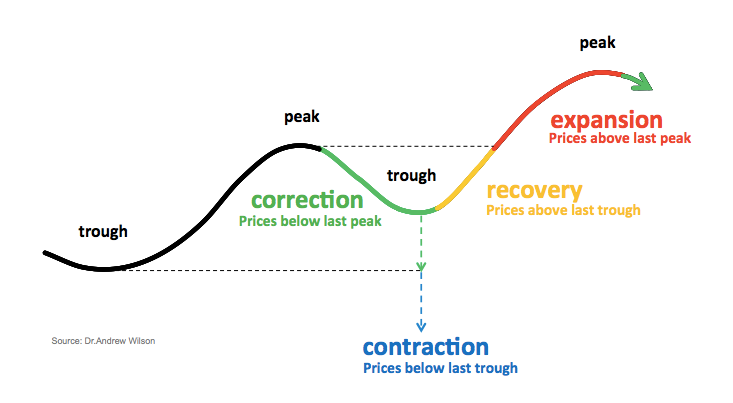 The Expansion Phase – House prices are above the previous price peak of the cycle. By the way…other than in a few isolated markets (such as mining town), property never falls into the contraction phase. In other words when the cycle moved on and priced fall they don’t drop below their previous troughs. Interestingly it has nothing to do with the number of years. Cycles are driven by a series of socio-economic factors, but over the years I’ve noticed that the nature of our property cycles is changing and they seem to be getting shorter. However the current property cycle is likely to be different! It seems that we are heading for a period of low interest rates, low inflation and lower capital growth that should prolong the current property cycle for a few more years before rising interest rates bring this cycle to a halt, just like they did in 2010, 2013 and in the 1990’s. By the way… we’ve experienced similar conditions – a prolonged period of flat interest rates in the 1990’s. The continued wealth of our nation which will ensure we can pay more for properties. As the number of Australian households is due to increase by 4.3 million over the next 25 years, our demographic changes will be a key factor in the type of property that will be in continuous strong demand in the future and that will keep increasing in price. We are going to have more one and two person households and more of us will be keen to live in medium density dwellings, close to work, amenities and transport. Our ageing population suggests that up to 65 per cent of us will live alone. But not only are we ageing, we’re getting married later, couples are having fewer children and having them later in life, preferring to concentrate on climbing the career ladder prior to settling down. Couple-only families are projected to experience the largest increase of all types of families over the next 25 years and are expected to rise by up to 64 per cent from 2011 to reach up to 3.8 million families in 2036. I see our demographic changes (huge population growth and changes in the way we will want to live) as more important in shaping the future of our property markets than short term fluctuations in interest rates, supply and demand or consumer confidence. Sure, there will be ups and downs in property prices. But we’re not currently in a property bubble, we won’t be seeing a property bubble in 2016, and real estate prices are NOT going to collapse. Infographic: Is Australia Experiencing a Property Bubble? I know the scope of this topic makes for a lot to process. We’ve put together some of the critical information in visual form to help you digest it all. If you enjoy it, please feel free to share it around the web. There’s a code below so it can be embedded on your website. Maybe you could read this , Michael and let us know what you think. Thank you. I agree the apartment price crunch is coming to the “off the plan” high rise sub market – I’ve also warned about it- I first wrote about it a year ago. Just wanted to ask what your opinion was on something. The statistics you provided show that many homeowners own their home outright or have a mortgage commitment of less than 30% which is further supported by the Dec 2015 housing data from APRA that shows the average variable rate loan across Australia in 2015 was just over $300k with fixed loans slightly higher at $330k (which is much less than the average Australian property). 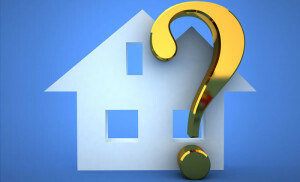 My question to you is that while rising interest rates may not impact the ability of home owners to service their mortgage, do you think that given the current low yields on Sydney property rising interest rates may stimulate a capital flight from the housing market into alternative fixed income investment options that may provide a higher yield? Stop looking at graphs and figures, come out on the streets and see what bubble we have , in the last four years the chinese have bought over 4 trillion dollars worth of property in Australia ,believe me i have been to all auctions weekend after weekend ,all overseas Asian investors, no Aussies buying this market. In 2 months the prices oof brand new properties have dropped 150 thousand dollars…. this is only the start of the crash ,as Chinese government start clamping down on outflows of cash leaving their country…..run for the hills the crash is coming in big way.. If you believe world economists like Casey, Soros, Maloney, Schiff and Duncan, the current Chinese sharemarket crash is apparently the start of a worldwide crash, affecting largely the western capitalist world of Europe, US and Australia and ultimately the collapse of the US$. Deflation, then hyperinflation, messing with markets globally, causes property prices to plummet, and mortgage rates to soar. As buyer fortunes change, property is placed on the market en masse, with prices plummeting, and mortgagee sales providing opportunities for bargains. Only a story? A sudden huge increase in property prices usually causes a sudden huge drop too….we can expect a correction in volatile markets. Knowledge is indeed power. Thank you for showing us the facts. 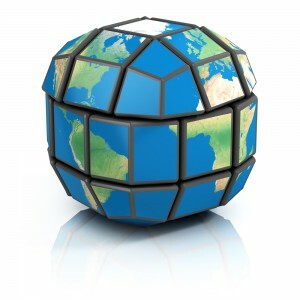 Negative Gearing is not essential, most overseas property markets function fine without it. You also miss quote the social dwelling statistics. 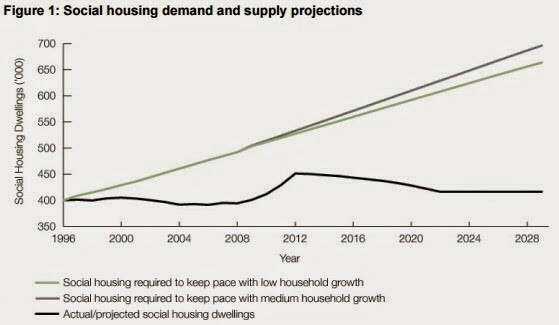 From AHURI – “To address this shortfall over the next decade requires an additional 20,000 social dwellings per year over the next 10 years.” Not the 200,000 dwellings p.a. that you suggest. Also, 20,000 dwellings compared with 1.8 million investors taking advantage of negative gearing makes the argument about supporting social housing largely irrelevant. Please stop pretending that you are doing a social service. In the end, the tax advantages favour investors at the expense of first home buyers wanting to owner occupy. It redistributes wealth from those working and saving to buy a home, towards those who have already bought and negatively gear. It also most benefits people already on high incomes. Is that a fair tax system? I don’t think so.